Dornin Investment Group (“DIG”) sold its Marnell Corporate Center 3 (“MCC3”) office asset in Las Vegas to a new investor group managed by DIG. This was the third and final disposition of the portfolio, purchased in early 2014 for $39.35 mil, which also included MCC6 (14.8k sf, sold in 2017) and MCC4 (93.7k sf, sold in early 2018). DIG sold each building separately for a combined sales price of $53.5 mil. Located at 6725 Via Austi Pkwy, MCC3 is a high quality, three-story office building totaling 68.3k sf and features unique architectural designs with strategic setbacks at each corner allowing for six corner offices per floor, as well as decorative trellis accents along the roofline. MCC is also ideally located adjacent to the McCarran International Airport near I-15 and the I-215 Beltway, and is proximate to the city’s most exciting amenities as well as the Las Vegas strip. In addition, MCC offers tenants a desirable campus environment with outstanding visibility, scenic city and mountain views, prominent signage opportunities and convenient access throughout Las Vegas and beyond. The sale of MCC3 completed DIG’s original business plan of purchasing, repositioning and selling the well-located, Class A office building. Prior to sale, DIG completed significant interior renovations and aggressively pursued new leasing activity to stabilize the occupancy of these Marnell Corporate Center buildings. DIG signed leases with high quality tenants such as Cushman & Wakefield, HDR Engineering, Machine Zone, and Pacific Stock Transfer to name a few. 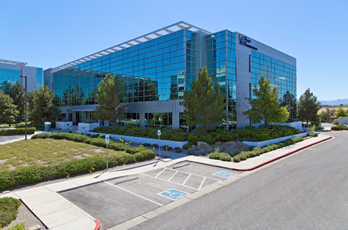 The sale of MCC4 set a record as the highest per-square-foot sale of a multi-tenant non-medical office building in the metro area at $328 per square foot. This round-trip investment produced a 1.92x project level multiple for DIG’s partners, resulting in a successful investment for DIG and its investor base.